Fast Hire & Sales authorised dealer for Probst Handling and Laying Equipment have for hire or sale the Probst Round Grab RG. 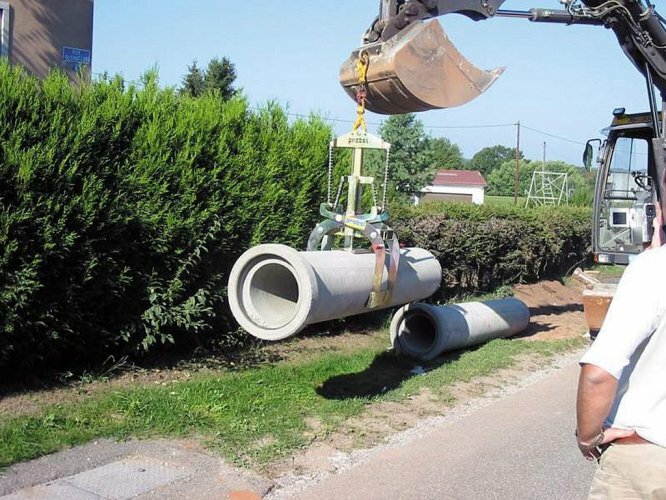 The Probst RG is designed for the installation of pipes with diameter between 80mm to 400mm and 200mm to 800mm. The Probst RG is of ultra slim design so pipes can be installed in very slender trenches. When installing coated or stoneware pipes the Probst RG has interchangeable grips to prevent damage.